We just got back from holidays in Costa Rica and, although you’ll be reading about it here sometime, I’d love it if you read my guest post on the i-escape blog. i-escape features some of the most dreamworthy properties around the world that I’ve seen, and whenever we go on holidays, I check their website to see if they recommend any hotels in the area. That’s what we did last summer when we stayed at Clos de Bellefontaine and Villa Fol Avril in Normandy, France. We loved both of them. Sometimes I check out their website only to daydream. I may never get to Tunisia or Bali. But that doesn’t keep me from imagining what it would be like to stay at the Hotel Dar Said or Bambu Indah. When I won a blogging contest at i-escape a few weeks ago, they offered me the chance to guest-write on their blog, as well as a reduced rate on my stay at one of their properties. Needless to say, my comments are entirely my own opinions and aren’t influenced by either of their generous offers. Take a look at my first of two blog posts on i-escape and see what we did in Costa Rica! Congratulations Beth on i-escape blog contest award and guest post. What an honour. Great exposure for your blog and a nice perk to continue your adventures. Your pictures are stunning. I don't think I have ever in my wildest dreams seen two more beautiful bedrooms. Unbelievable setting and atmosphere. I could just feel the breeze and hear the birds as I imagined myself waking up in that room. OK I'll stop day dreaming and get back to work. Thank you for the diversion. 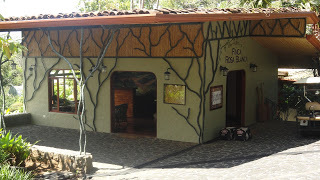 I just returned from an amazing virtual trip to Costa Rica, courtesy of your wonderful post on the i-escape blog. What a beautiful place — both the hotel and the setting. I love your catchy hook about Venice! And thank you for the introduction to their website. Your vacation sounds fantastic. I'm looking forward to reading Part 2! Congratulations on winning the contest. What a cool prize to be able to do the guest post, and stay at a reduced rate. As always, your vacations are amazing. I look forward to part 2. Congratulations on winning, that's exciting! Going to check out your vacation now! Costa Rica is a dream destination these days! Wow – that looks really stunning. Well done on winning the contest. And lovely photos (of you and the resort!). I missed the post on Normandy, so thank you for providing a link. I have ancestors from Normandy, so it is very interesting to me. What a breathtakingly beautiful place! The kind of place I dream about! Congratulations. A well deserved honor and I applaud you. Costa Rica looks truly breath takingly gorgeous. I hear that from anyone who has ever been there and now your pictures confirm it. Thanks for visiting my blog. I can't reply to the comments because something is wrong with the space where i write them. My computer guru is on vacation…. I think to Costa Rica…. seriously…. but I think he should be back by now. I left a "help" message for him. Oh, how fun! I love to travel, though it's not as easy as it used to be. 🙂 Thanks for linking to the i-escape website. What a wonderful dream tool. Congratulations! You did good and made that place a must to visit.Just beauttiful! What an honor that they picked you to guest blog. That's almost as great as the reduced rate. I'm not surprised though, you always have good stuff on your blog. Gorgeous pictures, music, recipes. Such a nice place to stop by. How cool! But I love your posts, so I'm not surprised anyone would choose you to guest post. Congratulations on winning the trip to Costa Rica! What a fabulous experience. I'm not surprised that you won as you are super talented. I actually have been to Costa Rica-a few days in San Jose and a few days on the coast. 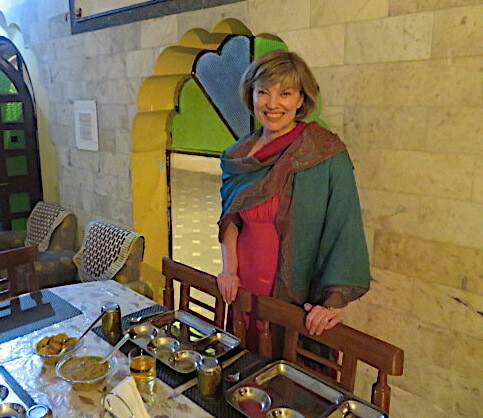 I remember dining at The Monastery which had incredible food and involved a taxi ride on a mountainous road. Your trip looks fabulous so far! I'm looking forward to reading more about it! Costa Rica! Bliss! I'd absolutely love to go there. Clicking through right now to read your post. My husband really wants to to Costa Rica! Can't wait to read all about it! My sister has raved about Costa Rica…and I'm dying to visit myself…especially since it snowed yesterday! I have a question for you…do you mind e-mailing me at lizzy.do at gmail.com? Thanks! Congratulations on that win, Beth! What an absolutely dreamy hotel and a super guest post about the trip. Looking forward to seeing the next part! Thank you so much for your recent comment on my blog. I really appreciate it. Costa Rica-my husband and I really want to plan a trip there. I'm sure you and your family had a wonderful time. That's awesome about your win on the i-escape blog and the guest blog! I'll definitely check it out! PS: Loved your post AND those pictures…BLISS!! !